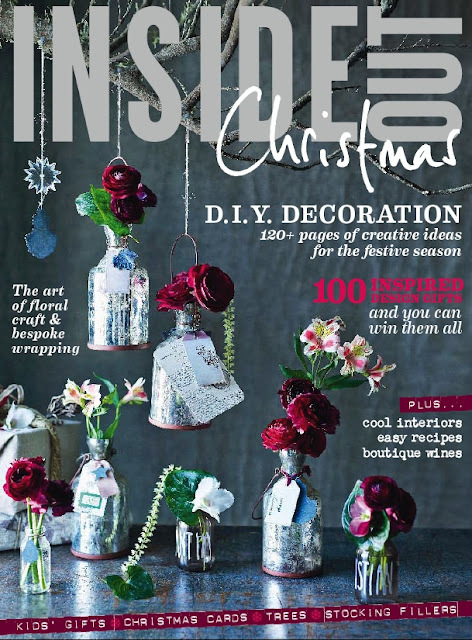 In the mailbox: One very wet (but thankfully plastic-wrapped) Inside Out "Christmas Issue". Bespoke wrapping? DIY decorations? Design gifts? Yes, yes and yes! That right there is the sound of my evening being "sorted". PS Have you had a squizz at the Inside Out blog yet? It's rather rad. Fab cover! Love the holiday issues! Halloween is barely over and we're already thinking Christmas! Goody! I LOVE IT!